Bluerock Pups are the real deal. They boast solid pedigrees with a willing temperament and great looks. All our pups come with a written 26 month health guarantee, Have Dewclaws removed, first set of shots and de-wormed. 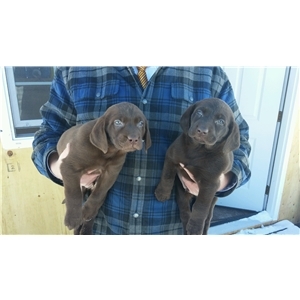 This litter will produce pups that will get the job done whether your looking for a dog with hunt test potential or are interested in a new best buddy, you will be hard pressed to find a better litter than this one.